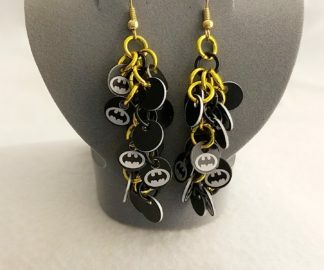 These Jingly Hero Shaggy Loops Batman earrings are your Bat signal. 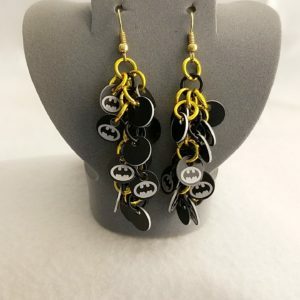 Let These Jingly Hero Shaggy Loops Batman earrings be your Bat signal. 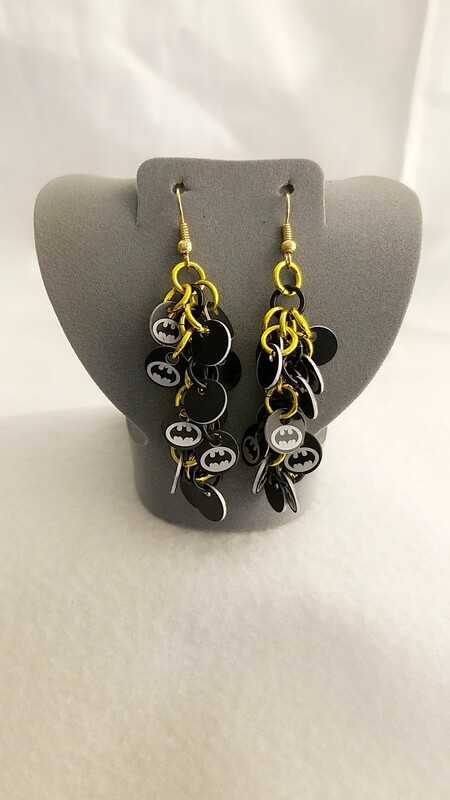 These Jingly Hero Shaggy Loops Batman earrings are your Bat signal to a fun outfit addition. Made in shaggy loops style. Shake your head a bit and they will make a jingly noise. Not something the Bat would use in one of his missions, lol not quiet enough to sneak up on a villain. Try not to wear your jewelry if you are going to be working out sweating too much, going into the ocean, when taking a shower or bath, or doing the dishes. Sometimes we forget to rinse off our jewelry after these activities or to let them air dry or dry thoroughly which can start to do extra damage over time. Please remember that since this is a handcrafted item there can be some small tool marks (scuffs) on the piece, please remember this when purchasing. Any ring with obvious damage is not used; however, I endeavor to prevent any scuffs and marring. If you would like to know more about the gemstones, rings, and items that are used in making handmade items like this; please take a look at the Material Description Page and my Chain Maille Descriptions page.